What I love most about the pilot episode, apart from the very way that the characters are introduced to us and the way this world is set up on the screen and in our minds, is not one specific scene. It’s how the many, many ways that Hannibal manipulates Will are introduced in that one single inference and implication of Hannibal killing the girl in the field. 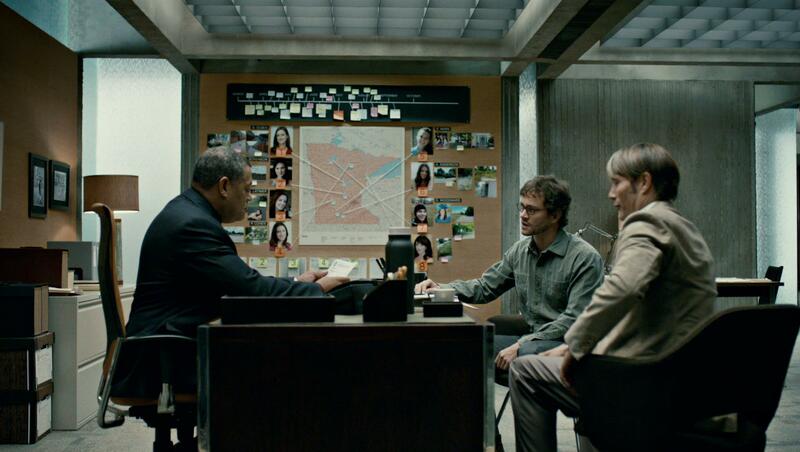 Will is right, that crime scene was gift-wrapped — it was Hannibal’s gift to Will, his way of helping him “see the cannibal’s face.” He takes one look at that murder board in Jack Crawford’s office, and he knows. Takes one to know one, I suppose. He knows what kind of crazy Garet Jacob Hobbs is, and so he gives Will the negative to a positive. This single metaphor opens up a panorama of juxtapositions that are to come, at the centre of which are the warring intellects of Hannibal Lecter and Will Graham. They will circle one another, and the more we will see of Hannibal, we will know so much more than Will does, about how Hannibal is pulling those strings. Although, that’s not quite right: it’s not about Will knowing. It’s about Will seeing. Will’s whole understanding of what’s going on is visual and metavisual — for him, it’s about the evidence that is before him, the things he can see in autopsies and in people’s eyes. For us, it’s what the camera shows us, it’s what kind of inferences the editing lets us make. By introducing the idea of the positive and the negative, their relationship doesn’t just become about the good and the bad, the kind consultant being introduced to the ruthless cannibal — they’re both more than that, anyway. No, it’s about the idea of mirror images, of the things we see when we look at negatives, the way that different things take shape and become more prominent while others fade into the background. Hannibal helps Will in this episode, by copycatting the Minnesota Shrike in such a way that Will understands what the real killer is all about. He guides Will through this case, and it’s his way of inserting himself into Will’s life. It’s quite by accident, really — he couldn’t have foreseen Jack coming to him for help. But then it happens, and it’s just chance, but it changes both their lives. Hannibal has found someone who is fascinating and extraordinary and the other side of the coin — for now. Hannibal sees Will and he realises that this is someone that he wants to keep close, someone he wants to study — someone he wants to groom. Turn that empathy on Hannibal, make him dependent, and just what could Will Graham be driven to do? He calls him “good Will” to Jack — and good here doesn’t strike me as necessarily pertaining to Will’s moral centre. Rather, it casts him as someone who Hannibal will offer to teach, to lead. 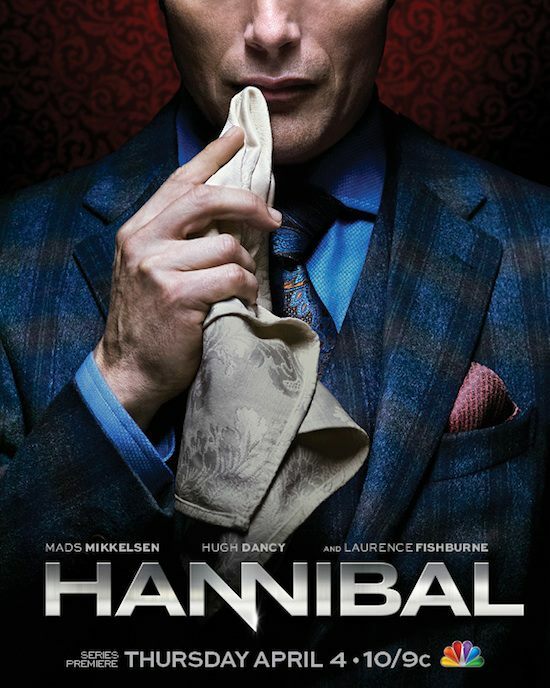 By being there, by saving Abigail Hobbs’s life, by taking the situation at the Hobbs residence in hand, Hannibal binds Will to himself. He’s engineered this whole thing, Hobbs wouldn’t have had a chance in hell if Will had just entered the house unannounced. But like this, Hannibal has created a situation that means Will needs him to keep him safe. All the while — during this sequence, during breakfast — Hannibal knows exactly that he is the one pulling the strings, and he’s taking the same pleasure from watching Will’s mind wrap around what happened, not knowing that it was Hannibal who made it happen, as from eating that Minnesota girl’s lungs. It’s never said, of course, but we know, because we see things Will cannot see. If Will is about visuals, then Hannibal is defined by words. As a therapist, he talks, all day. He explains to people their neuroses and inner conflicts through words, guides them through their own minds — that gives him enormous power over people. We see this reflected in Franklin. Hannibal devours others, literally. He may kill them with his hands, but his mouth is where their deaths become what they are, acts of cannibalism; the thing that will truly scare us. His mouth is where the ideas are formed that give Will pause, that will make him find Dr. Hannibal Lecter most interesting indeed. All the while, as Will is avoiding eye contact, Hannibal is watching him. He knows instantly that Will’s gift/curse/blessing/burden of ‘pure empathy’ is something he can use — as a tool sharpened at both ends, perception is both Will’s strength and his greatest weakness. Jack contends that Will Graham operates based on a huge amount of fear, which Alana Bloom calls “the price of imagination.” Will can do anything with his mind, but that also means that no-one he knows he can get really close to. His evasion of eye contact is what symbolically separates him from people, from focusing too much on what he can see in them — which is everything. At the same time, he has that same insight into himself, and the things he can do with his mind scare him and repulse him. Imagine yourself, killing someone, wanting to kill someone. It’s called the imp in yourself, the little voice that sometimes pops up and tells you the unspeakable things you could do right now. I get that voice a lot. Imagine how to turn an everyday situation into something shocking, imagine destroying someone’s trust in you with one sleight of hand. Most of us don’t give in to those stray thoughts, if we have them at all. The problem that Will has is: he doesn’t just know what people are capable of, but he knows what it feels like. He knows what Garret Jacob Hobbs felt as he killed those girls in his daughter’s place, and it felt good. And for Will, it isn’t just a danse macabre, it’s not just a fleeting, titillating moment, a thought that we know we’re not going to give into. It’s all the time, it’s impossible to shake, and it grows and grows and grows in his mind, until everything else is silent and all he can hear are those forbidden desires, flooding in from the minds of the killers that he hunts. (We will later learn that it’s an actual illness making this worse, but let’s leave that out for now.) Will’s gift can be his downfall, because he longs for a place where he doesn’t feel that way. And Hannibal is going to give him this space, is going to give him something to hold on to, to make him feel safe. Hannibal is going to insert himself in Will’s life as his therapist, his keeper, his caretaker. He will guide Will wherever he wants him to go. 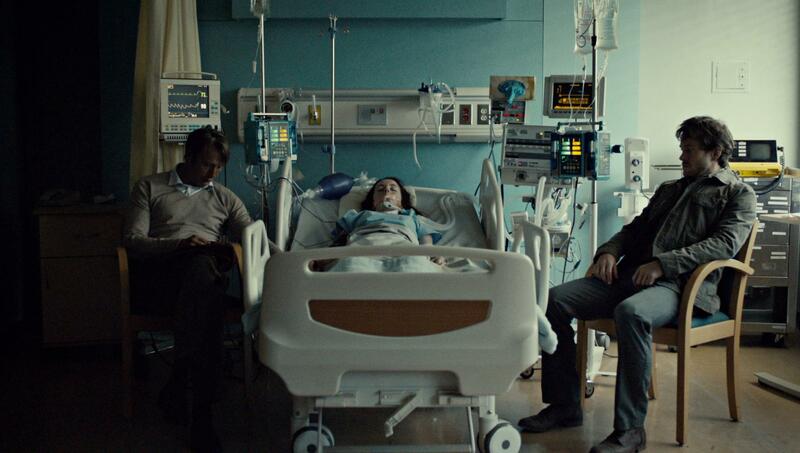 And, for now, that’s into a hospital room with Abigail Hobbs, the only surviving witness. The only other person who heard Hannibal’s voice that day. 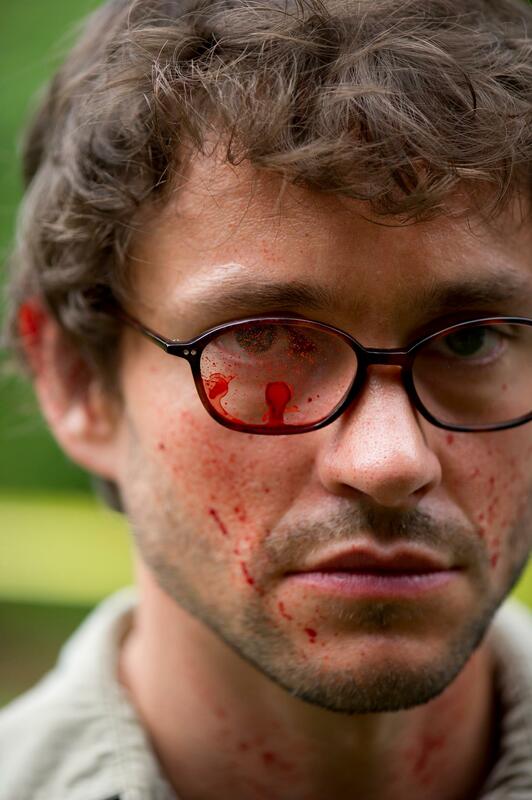 All images courtesy of NBC’s Hannibal Facebook page.